This is the soundtrack compilation album to accompany the documentary 'We Are X' about the history of the band X Japan. They've had their fair share of tragedy with two suicides in the band and years lost by vocalist Toshi to a religious cult. In some ways you couldn't make it up. Indeed, the emotion in the songs is strong and very real. Tracks one and fourteen, 'La Venus' and 'Without You' unplugged, are exclusive to this album. For collectors or avid fans, the Japanese version also contains two extra songs, 'Rusty Nail' and an extra version of 'Forever Love'. The album starts off with the kind of big power ballad ('...Venus') at which vocalist Toshi excels. There's a Classical music feel to the score and, indeed, this song was apparently up for an Academy Award. Then, in that kind of bonkers schizophrenic way that allows Japanese culture to have married such extreme politeness and Kamikaze in one culture, we launch straight into 'Kurenai' from 'The Last Live'. It's a fast-paced melodic Thrash Metal number that has Yoshiki almost killing himself every night to reproduce on stage, the only clue on this live recording that a large proportion of this band's fans are teenage girls being in the pitch of the crowd's singing being unusually high. These contrasts continue unabated across the album. For non-Japanese speakers, much of the enjoyment of the music is in the feeling and tone without the aid of literal meaning. On that note, I enjoyed this album much more than I thought I would, although I'm sure it does help to see the film and get caught up in the drama of the history of X Japan. There's no doubt about the talent of the composition and musicianship on offer. They are not the first Heavy Metal band to reach back to the purity of Classical composition and marry the two to dramatic and passionate effect. Avid fans will love it (of course). 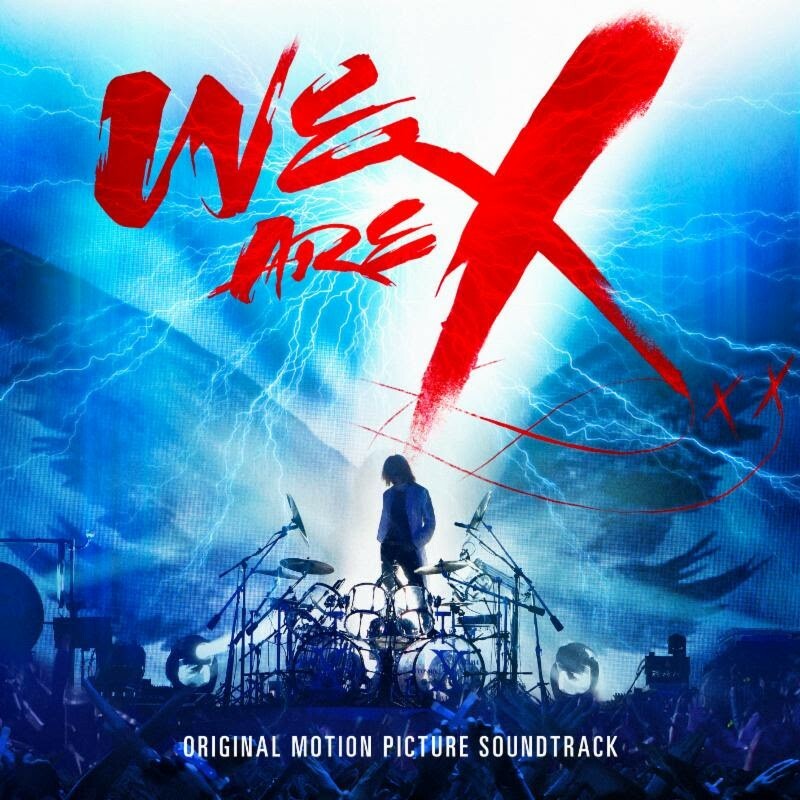 However, even if you wrote this band off as a wannabe Japanese version of Poison crossed with Metallica, I recommend you give 'We Are X' a try. It does offer something different and you may just enjoy it way more than you thought possible.